Disclosure: I received free tickets to the show for my family in exchange for writing an honest review. 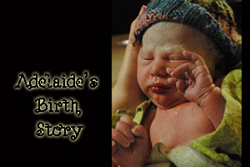 No other compensation was received and all views expressed are my own. 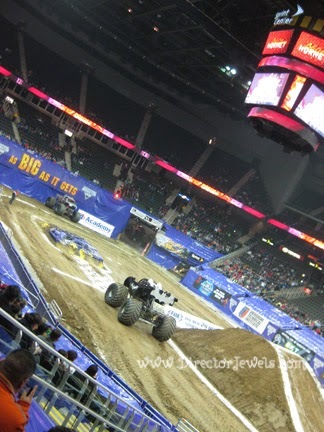 I've been seeing live performances for years, but one show that was never on my radar is Monster Jam. I have a survival story about the time my little brother got me to jump his 4-wheeler while in high gear, but that was the extent of my knowledge of stunts with vehicles. I should have known from the first indication of my son's obsession with trucks that I had a whole new world of experiences ahead of me. Over the weekend, we had the opportunity to take Lincoln to his very first Monster Jam. 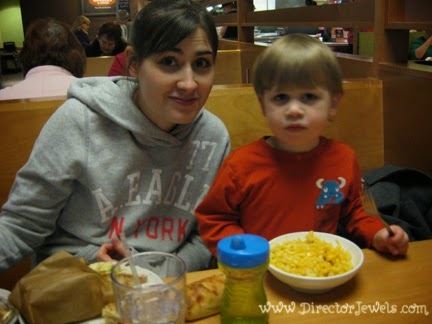 On our way to the Kansas City Sprint Center, we stopped for a special macaroni and cheese dinner with the little man, and ran into a hardware store to get him some serious ear protection, as we had heard that the noise level can be damaging to hearing (especially for kids). We wondered if Lincoln would agree to wear the headphones, and he ended up doing better than expected. Andrew and I brought along some small earplugs, and while it made conversation during the show difficult, we were very glad that we had them! The trucks were LOUD! 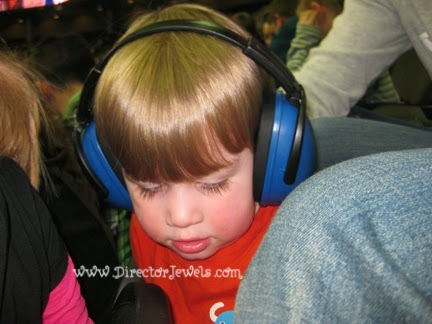 Ear protection was also for sale at the show - and for a comparable cost to what we paid at the hardware store. We usually have both munchkins along for any adventure, but Addie spent the evening with Grandma. It was fun to have some time with just our oldest. Lincoln was astounded by the trucks. He is not normally a fan of sitting still for any length of time, but he happily watched the first half of the show without moving off my lap. 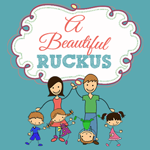 Every now and then, he grinned and pointed and declared "MONSTER TRUCKS! Big ones!" I had no idea what to expect at this event, so I learned a lot. 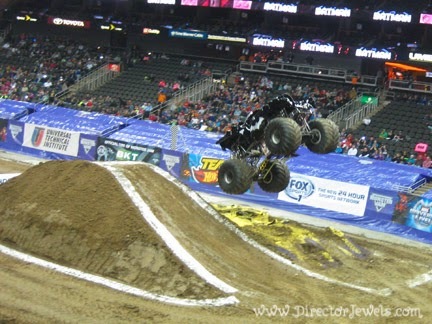 The Monster Jam trucked faced off in bracket racing and freestyle competitions. Lincoln wasn't concerned with who the winner was; he was just excited to see the trucks do their thing. It was pretty cute when he started jumping up and waving his arms in the air along with the rest of the crowd. It was obvious that some of the trucks have large fan followings! 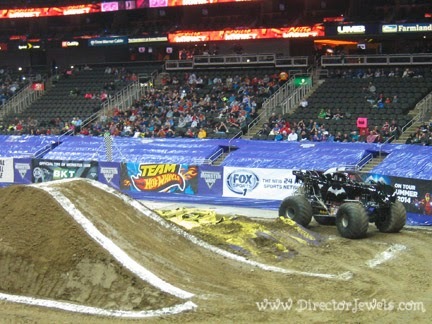 We were introduced to KING KRUNCH, SPIKE, THUNDER 4X4, MEGA-BITE, NITRO HORNET, BATMAN, and GRAVE DIGGER. These trucks were seriously cool - even for a girly girl like me. There was a lot of crowd interaction, which was nice to see. The drivers of the most popular trucks came out to throw t-shirts into the crowd and invite attendees to find them after the show for autographs. We didn't seek out this opportunity, since Lincoln is not yet old enough to mind - but in future years, if he is still a truck fanatic, I imagine that we will take advantage. I was surprised at how much I enjoyed the show. It was, overall, paced a little slow for the attention span of a two-year-old (he lost interest in between races in the second act), but for an older child, I don't think it would be a problem. 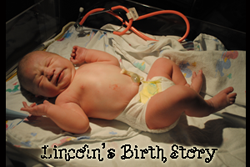 And Lincoln? He's been talking about it almost nonstop. He tells everyone that we went to "see a big monster truck!" He consistently tells us that his favorite was the "green one" or the "pirate one" - GRAVE DIGGER. 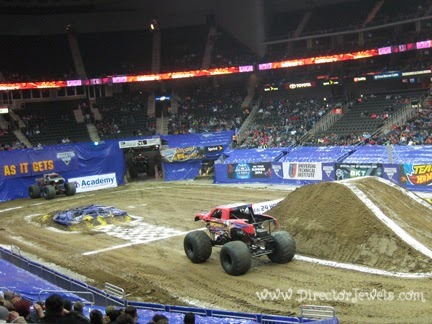 It was certainly an amazing adventure for him and I am sure we'll be returning to Monster Jam next time! Huge thanks to Feld Entertainment for providing my family's tickets to the show. I received no other compensation and all views expressed are my own. For more information, you can read my Disclosure Policy. I'm guessing my son will know all of the trucks' names within a few years! They were all a surprise to me this time around. Yes, I was so glad someone warned us to get ear protection ahead of time! We have a couple of monster truck toys that I didn't realize were based on REAL trucks until we went to the show! Have fun when you go to the show! How fun! I have always wanted to go to a Monster Jam. This post confirmed I'd still like to go to one! Hmmmm maybe next year? Stopping by from SITS and enjoying your blog. :):) Have a great week! Oh man, I LOVED monster trucks when I was a kid. I can't wait until my boys are old enough to enjoy them. I always loved Bigfoot! :) New friend stopping by from SITS. I'll have to look up Bigfoot, I dunno what that one looks like! Looks like you guys had a great day! 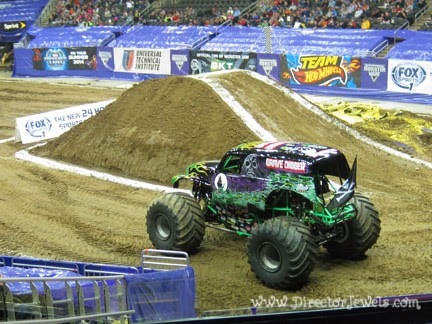 I have yet to see a Monster Jam Show and they are often in my area. You should go sometime - it was fun!